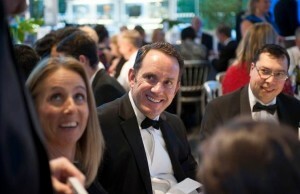 Corporate Magician Christopher Whitelock is perfect for your businesses conferences, team building activities, office Christmas parties and any other corporate event. His sophisticated charm is adaptable for any type or size of corporate do and is guaranteed to entertain and enthral professionally. Chris can completely personalise his performance for you and your company – from having your logo printed on the props to including some of your companies USPs and products in the sequence it’s all down to your personal choice. You can chose from table magic, mix and mingle magic, cabaret or a mix of them depending on the style of the event that you are planning and the sort of audience you will have. To find out more about having CW Magic at your office party get in touch and find out what packages we can put together to make your event extra special. to have at your works team building day. He will make sure your guests are all joining in together to the performance and start up conversations between groups of people that would not usually communicate. Teaching magic to the employees of a company will hold their interest and begin to build relationships and break down barriers. The best part about having CW Magic at your corporate event is that he will share his secrets about magic within business. He will explore techniques that can be transferred to business situations and show you how to amaze all of your clients. 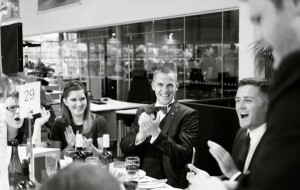 On the 16th February Chris has been invited to a corporate team building event in Geneva. As well as teaching the employees some magic and hosting some fantastic games Chris will also be performing some table magic whilst the guests begin to relax for dinner. Corporate Magician Chris will be spending the day in the main office in Geneva’s bustling city centre and will head off to the stunning Mandarin Oriental Hotel for dinner. Find out more about corporate magic and what it could bring to your upcoming event by getting in contact today.